If you seriously want to find passive income properties, there is one HUGE thing you need to do: Drive For Dollars. Have you heard of it yet? If not, it is time to get your learning on and prepare yourself for a property explosion. Whether you want to accept it or not, real estate investing is a totally active process of engagement with your community and being out there, connected. Do NOT think that you can sit at home, look up things on the internet, and succeed in this world. That’s just lazy work. And, I’m not in support of it. Let’s get honest, here. Are you, or are you not, serious about creating passive income? If you’re really, truly, 100% serious about this, then it’s time to get up of your bottom, get into your car, and start getting out there to find those houses. You need to check out this video I shot in one afternoon of driving for dollars with my students. Y’all, you will not BELIEVE how many houses we found! It is CRAZY. But, this kind of thing happens all the time! This is why I am such a preacher for the importance of this practice. 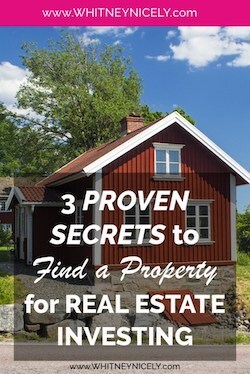 It is critical to really find passive income properties, and build your portfolio. Before you see the video, though, let me walk you through the steps…. Start with a list of potential properties to check out from a Zillow search (rentals in your areas, or FSBO). 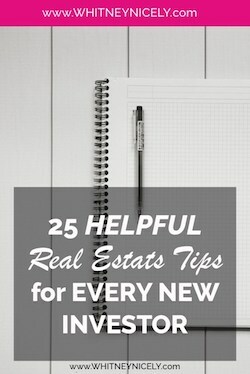 I find that starting with a list is helpful to get you moving and in the car. Even if none of those houses pan out for what you want, they are a starting point, which is often the hardest leap to make! Yes, I really do mean what I’m saying. Get into your car, list in hand, and start driving around. This is really the gold in order to find passive income properties. The little handy-dandy GPS in your phone is a great help to put in your properties and find them pretty easily, but while you’re driving, make sure you keep your eyes open for other homemade SALE or RENT signs. Step 3: STOP at houses! I loooovvveeeee homemade signs. They are a great clue for if the home is a FSBO or FRBO, and that there is great potential for flexibility with the owner. Stop at everything and anything you find. Take pictures. Call the number listed to see if you can get or set up a tour of the property, and get the process moving. And, of course, make sure you check out the list that you started with, too. Again, you want as many properties in your queue as possible, because not every one of them will come through in a contract. Step 4: Get the FACTS. Again, write down or take note of every piece of information you can collect on the property while at the property. Take pictures, get contact numbers, and any other information you can. How many bedrooms, bathrooms, size of lot, garage, driveway, general area, etc? Then, dig deeper. Get into the local legal documents and make sure there are no liens on the property, or anything else that would be a red flag for you. I talk a lot more in depth about this in my course First Deal Done Fast, so check that out if you want a more complete explanation. If you find passive income properties that don’t meet your requirements, eliminate it and keep the process going with the ones that do. Check out me Driving for Dollars with some awesome clients who are part of my First Deal Done Fast group! They are serious about growing their passive income, and willing to do the work to make it happen! Click the play button to enjoy! 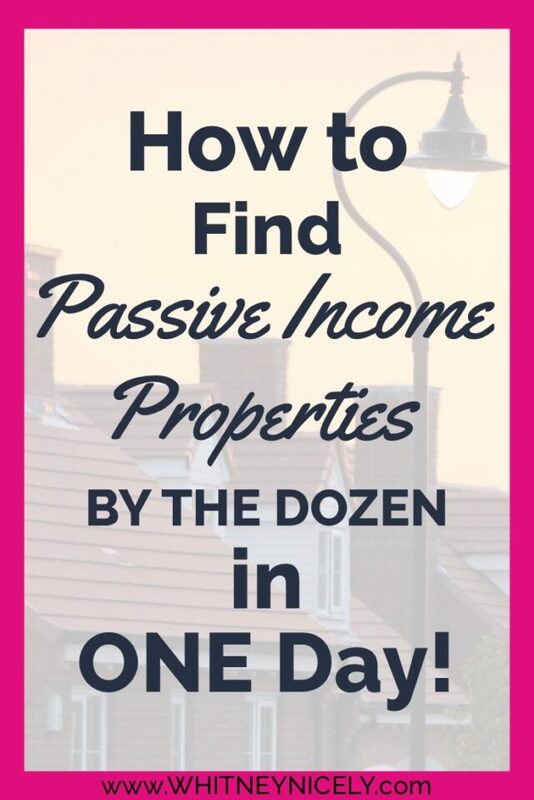 Ready to Find Passive Income Properties to Get Your Cash Growing and Flowing? My guess is your chomping at the bit to get out there and find passive income properties to fill your queue. If you haven’t yet started on your journey, I’m offering a free PDF to get you started. It’s called 10 Steps to Get Your First Deal. 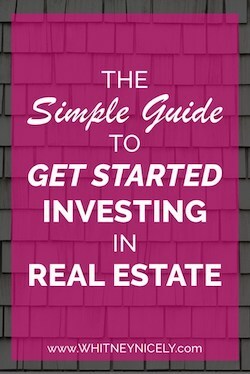 It’s easier than you think to get started in real estate investing if you’re willing to do the work. So, if you’re serious and ready to get down and dirty, check it out and get your copy today! So, what’s holding you back from jumping into real estate investing? Are you afraid of failing, scared to talk to sellers…what? If there’s one word of encouragement I can give to you it is to just START. Doing nothing is much more scary than jumping in and getting your feet wet. The biggest challenge in this business is getting out of your head and taking action. So, are you ready to take action, or still stuck in fear? Comment below…I’m eager to hear what you’re working through.